They’re jumping rope with a noose, hop-scotching that tight rope between death and freedom. 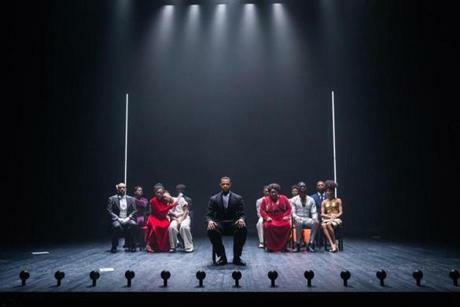 The scene, straight out of “The Black Clown,” now at the American Repertory Theater, isn’t just for the stage. This dance is the dance of Reginald Andrade, the UMass Amherst employee who was accosted by police Friday for walking to work while black. He regularly practices raising his hands in the air, just in case he’s stopped by police, so that he’s always seen as cooperative. 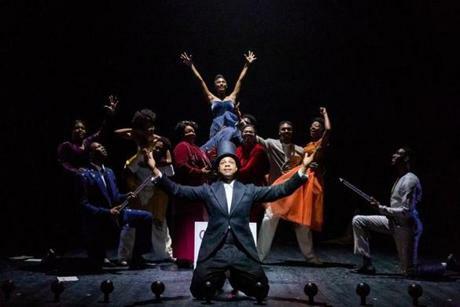 The production, an adaptation of the poem by Langston Hughes, wraps around you like a bittersweet blanket in a cold, racist world. When Langston Hughes wrote this poem in 1931, he couldn’t know that in 2018, adapter and actor Davóne Tines would sing the words so soulfully our spirits would latch on to each note and claim our humanity. His blues still alive in our DNA. 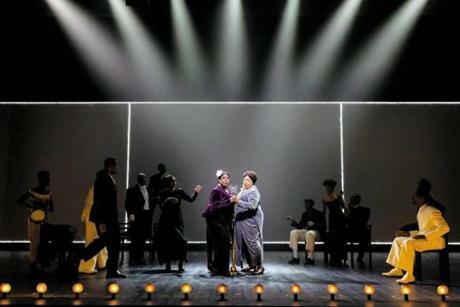 The show, which closes Sept. 23, has been sold out all month. Tines doesn’t wear a white suit. Blackness, the 31-year-old Tines says, has been relegated to something less than human. It doesn’t matter what we wear, he says. Like being labeled “angry,” having the cops called, being falsely arrested or murdered. Even when you do all the right things, your blackness alone is enough to put you at risk. I am the fool of the whole world. I rise again — a black clown. Reginald Andrade was walking into his office at UMass Amherst Friday morning in dress pants and work shoes, a gym bag slung over his shoulder — he’d just come from his morning workout at the rec center. Nothing about that should seem out of place. But Andrade, UMass Amherst’s consumer manager for disability service, was questioned in his office by police detectives. Someone called police and reported an agitated black man carrying a duffle bag on campus. Even if he were, does he not have the right to have a bad day? For Andrade, who was once a student at UMass Amherst, this was the third time he’d been profiled on campus. He’s been working there for 14 years. His first encounter with campus police came decades ago as a student, sitting in an empty classroom, listening to an audio book. He was made to validate himself, to show his ID, to account for his existence. It’s not something you just shake off. You look at police differently. You move through life more carefully. 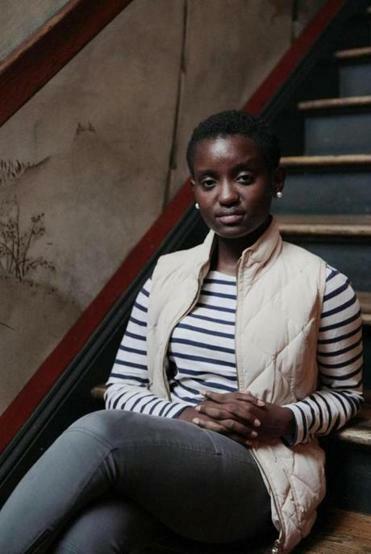 For Oumou Kanoute, the Smith College sophomore who faced campus police July 31 for simply eating lunch and relaxing while black, the criminalization of blackness is haunting. But to speak out is to be vilified. Colin Kaepernick hasn’t been employed by the NFL since soon after he took the knee to protest brutality. Officials in Texas, Mississippi, Louisiana, and Rhode Island have tried to ban Nike in various ways since the company featured Kaepernick in an ad. To utter the words “Black Lives Matter,” to be black and want equity makes you a threat. Ask Serena Williams. She spoke up, got a game penalty, and Australia’s Herald Sun gave her the Sambo treatment. But Kanoute, Andrade, Kaepernick, and Williams are still alive. For so many people, living while black can get you killed. Like Botham Jean, the 26-year-old shot to death in his own home when off-duty Officer Amber Guyger broke into his home, claiming she thought it was hers, and mistook him for a burglar. 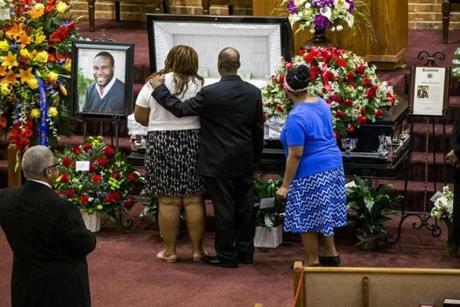 Mourners consoled each other during the public viewing before the funeral of Botham Shem Jean at the Greenville Avenue Church of Christ in Richardson, Texas. He was shot and killed by a Dallas police officer in his apartment in Dallas. Why do we have to be near perfect to be valued as humans? Even then, we’re vilified. He didn’t listen to her verbal commands, Guyger claimed. There was weed on his counter, a search warrant found. Why is this man on trial for his own unwarranted murder? Black — you can die. In 2016, 70 percent of the nearly 15,000 individuals in Boston that police observed, interrogated, or searched were black, a Globe analysis found. Yet they are only about 25 percent of the city’s population. In “The Black Clown,” Tines climbs a ladder that goes nowhere, sinking him back to the ground signifying our rise and fall. Yes, things change. But the racism is still the same. Throughout “The Black Clown,” cast members are seen in front of and behind a white screen. This may be a play inspired by Hughes, but the screen is a reminder of historian W.E.B. Du Bois and his theory of the veil — the color line we live behind, the separation between how we see ourselves, how we are seen by the world, and the fracturing way in which that affects us. The gaze of the supremacist trying its best to displace black people in this country. The cast of The Black Clown at American Repertory Theater. 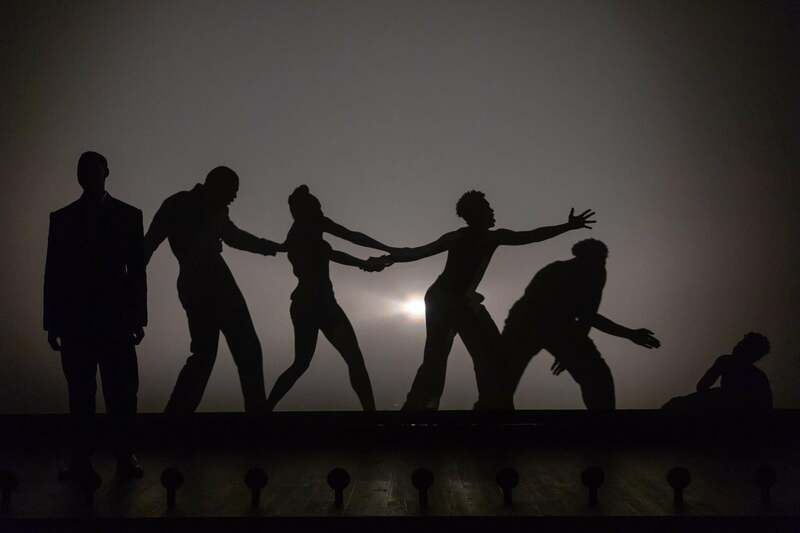 The climax of the play is when the cast marches through the audience in a processional, singing “Motherless Child.” Tines says it signifies a lot of things, but most certainly the fact that for African-Americans, this country does not want to be our home or our mother. Yet we still sing. You can’t keep me down! That make me a clown! We dance. We love this country and fight for our place in it. It’s an ongoing struggle, but it’s one we won’t give up on. And then some more after that. Slowly, we continue to tear away at the veil, to destroy the oppressive clothes of the clown so this circus tent might come down.